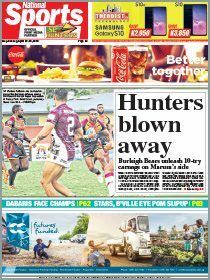 KIMBE in West New Britain will be ready to host the 7th PNG Games from Nov 18 to Dec 2, says PNG Sports Foundation chief executive officer and PNG Games Council chairman Peter Tsiamalili Jr. 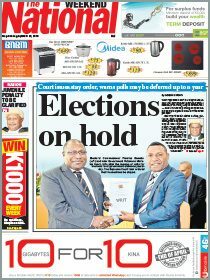 In a council meeting last week in Kimbe, Tsiamalili Jr said they updated the infrastructure and all were happy with West New Britain’s preparations. “We came back from Kimbe where the council held a meeting and it was to go through the infrastructure and all provinces that came for the meeting were updated,” he said. In terms of confirmation of teams participating in the games, Tsiamalili Jr said there was a challenge which would be sorted out in terms of travelling expenses for teams. “There is a request from the council that I will bring up with the Prime Minister and Sports Minister and that is everyone is feeling the cash flow problem,” he said. “We have all the data in and half of the teams are ready to go but the challenge is getting the airfares and that’s minor because a majority of them have paid for their accommodation but it’s just the travelling expenses and that is something I will see through it with the Prime Minister and Sport Minister Peter O’Neill. “A lot of the provinces get their support from their district services improvement programme funds so that’s the request that’s going to go out and that will allow them to assist the teams.